The Wellcome Trust / Cancer Research UK Gurdon Institute is a research facility at the University of Cambridge, specialising in developmental biology and cancer biology. The Institute was founded in 1989 to provide a rich, collaborative environment for scientists working in diverse but complementary specialities in the fields of developmental biology and cancer biology. It receives its primary funding from the Wellcome Trust and Cancer Research UK. In 2004 it was renamed in honour of John Gurdon, joint winner of the 2012 Nobel Prize for medicine. As of 2016 the director is Daniel St Johnston and the deputy director is Tony Kouzarides. As of 2016 there are 14 Group Leaders and 2 Associate Group Leaders. Distinguished alumni of the Gurdon include Jim Smith, Jonathon Pines and Ron Laskey. ↑ Anon (1991). "Charities cohabit in Cambridge: New £5 million institute opens". Nature. 351 (6326): 432. doi:10.1038/351432b0. ↑ Gurdon, J. (2003). "John Gurdon". Current Biology. 13 (19): R759–R760. doi:10.1016/j.cub.2003.09.015. PMID 14521852. ↑ Williams, R. (2008). "Sir John Gurdon: Godfather of cloning". The Journal of Cell Biology. 181 (2): 178–179. doi:10.1083/jcb.1812pi. PMC 2315664 . PMID 18426972. ↑ Kouzarides, T. (2007). "Chromatin Modifications and Their Function". Cell. 128 (4): 693–705. doi:10.1016/j.cell.2007.02.005. PMID 17320507. 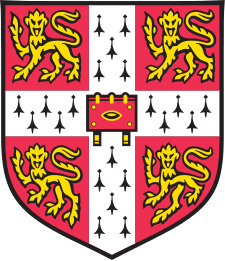 ↑ "Our research in Cambridge". Cancer Research UK. 17 September 2009. Retrieved 24 April 2012. ↑ "Gurdon Institute Senior Staff". University of Cambridge. 2015. Archived from the original on 2014-03-15. ↑ McMahon, H. T.; Gallop, J. L. (2005). "Membrane curvature and mechanisms of dynamic cell membrane remodelling". Nature. 438 (7068): 590–596. doi:10.1038/nature04396. ↑ Barker, N.; Huch, M.; Kujala, P.; Van De Wetering, M.; Snippert, H. J.; Van Es, J. H.; Sato, T.; Stange, D. E.; Begthel, H.; Van Den Born, M.; Danenberg, E.; Van Den Brink, S.; Korving, J.; Abo, A.; Peters, P. J.; Wright, N.; Poulsom, R.; Clevers, H. (2010). "Lgr5+ve Stem Cells Drive Self-Renewal in the Stomach and Build Long-Lived Gastric Units in Vitro". Cell Stem Cell. 6 (1): 25–36. doi:10.1016/j.stem.2009.11.013. PMID 20085740.